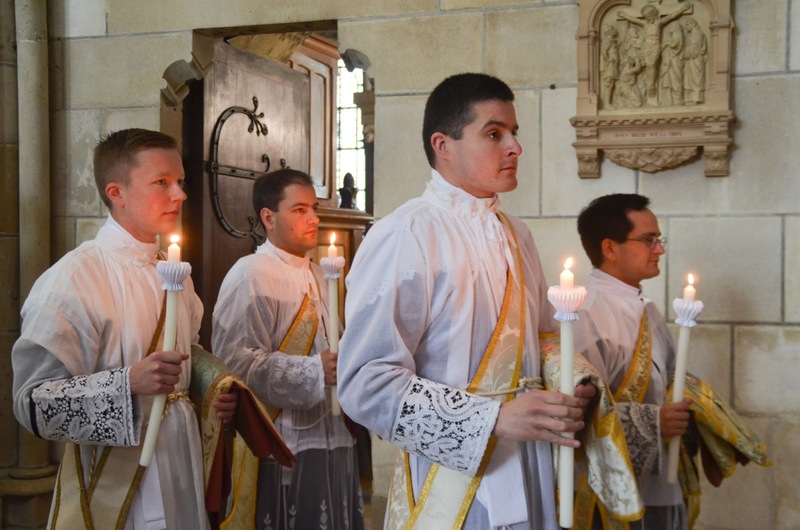 NLM is very happy to offer warmest congratulations to the newly ordained priests and to their families, as well as to the Fraternity of St Peter, and likewise, our thanks to Card. 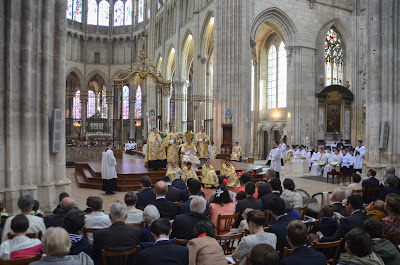 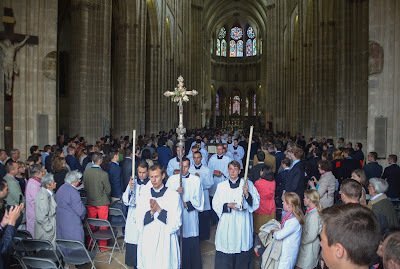 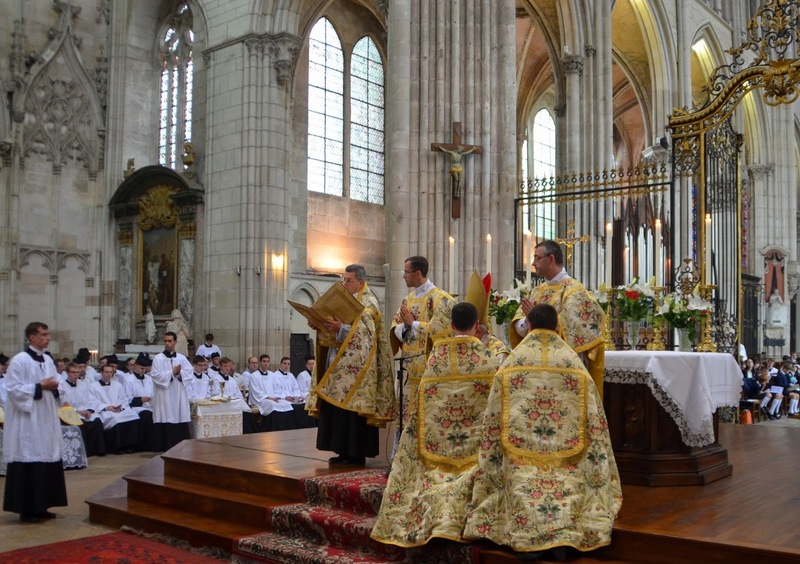 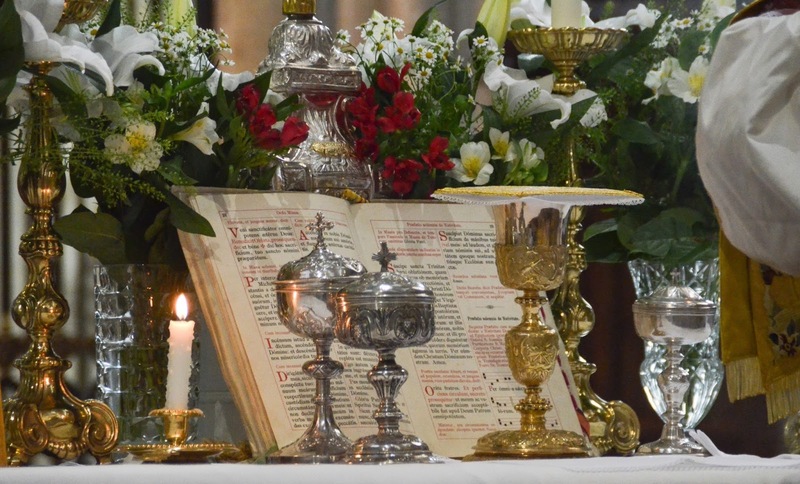 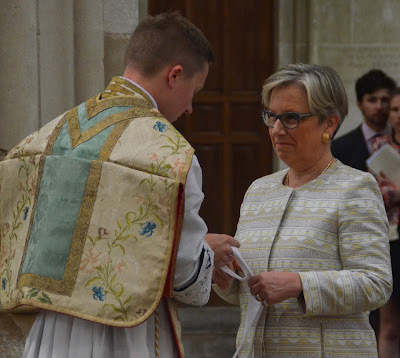 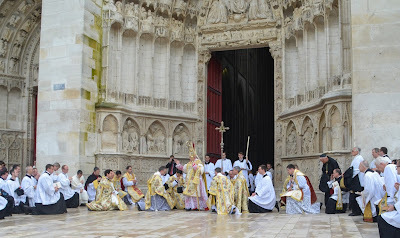 Ricard for his pastoral solicitude on behalf of the Fraternity and the faithful who follow the traditional liturgy. In this season when so many priestly ordinations are taking place throughout the world, let us remember to thank God for all the blessings and mercies He gives us through the ministry of the priesthood, for the families in whom religious vocations are born and fostered, to pray for their increase, and for all of our bishops and clergy. 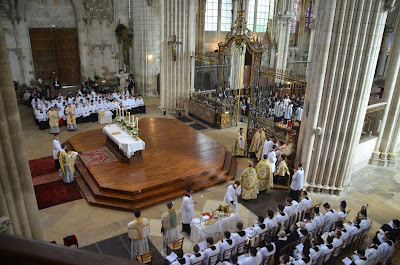 The sermon, preached at the beginning of the ceremony, rather than after the Gospel. 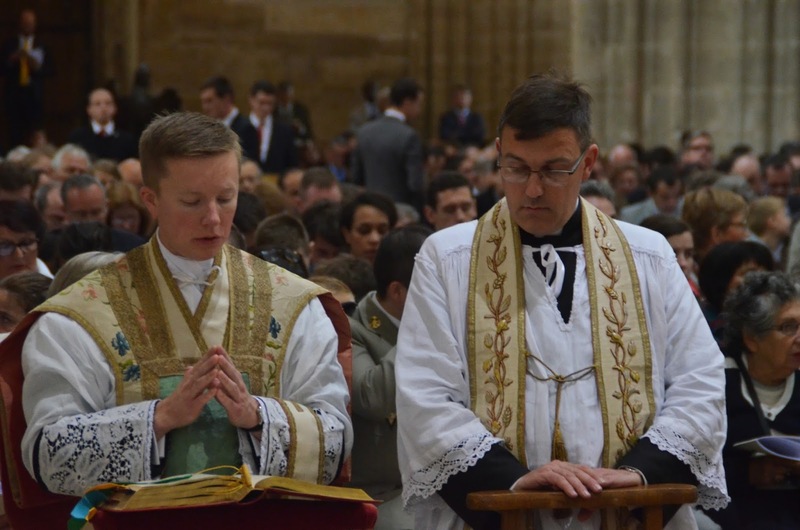 Fr John Berg, the Superior General of the F.S.S.P., reads the call to orders. 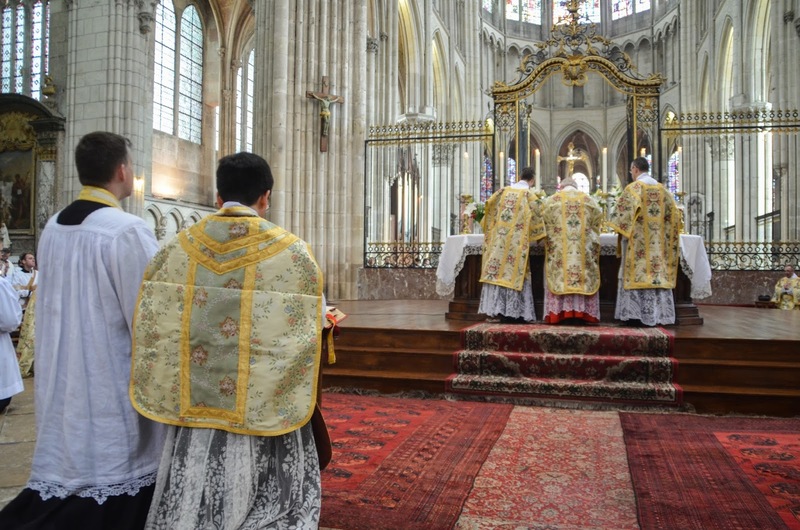 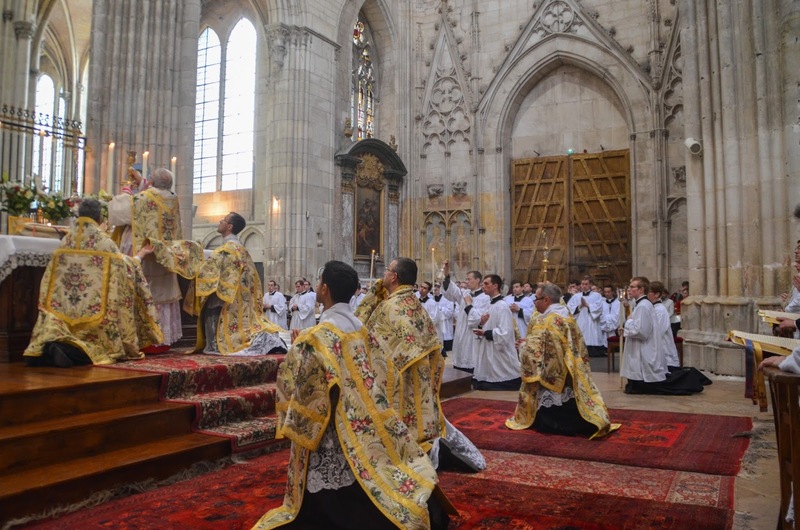 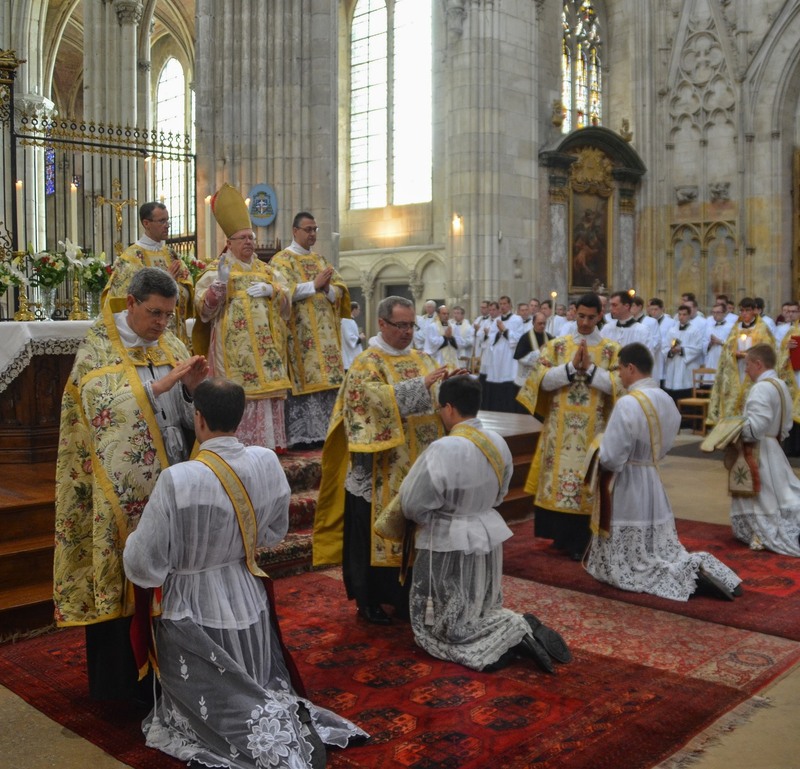 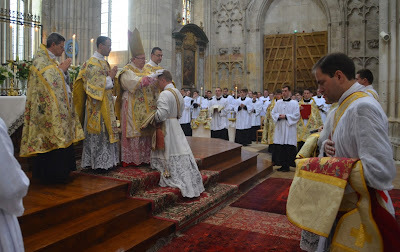 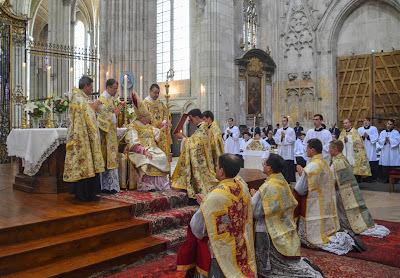 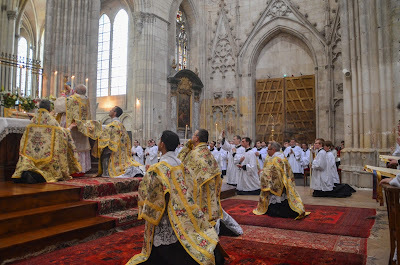 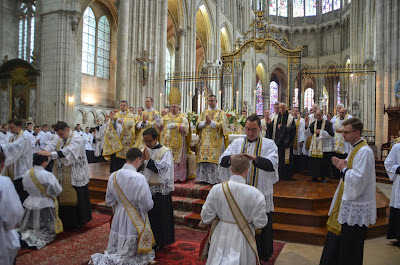 Towards the end of the Litany of the Saints, (for which the ordinands prostrate, while all other kneel) the bishop rises, receives his crook and miter, then turns to the ordinands, and sings the invocations, “That Thou may deign to bless + these chosen ones. 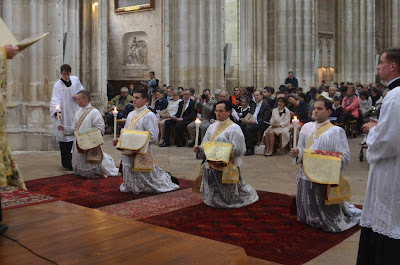 - That Thou may deign to bless + and sancti+fy these chosen ones. 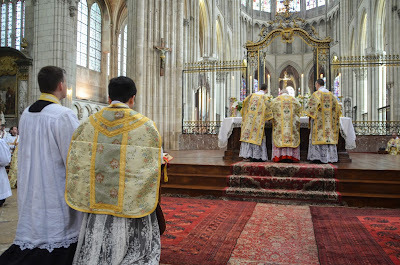 - That Thou may deign bless +, sancti+fy and conse+crate these chosen ones.”, making the sign of the Cross over them where I have put the + sign. 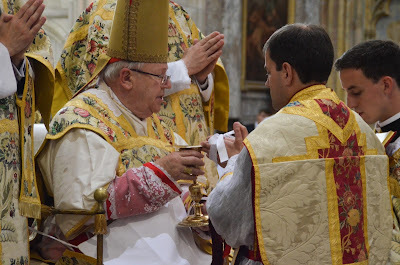 The imposition of hands by the Bishop. 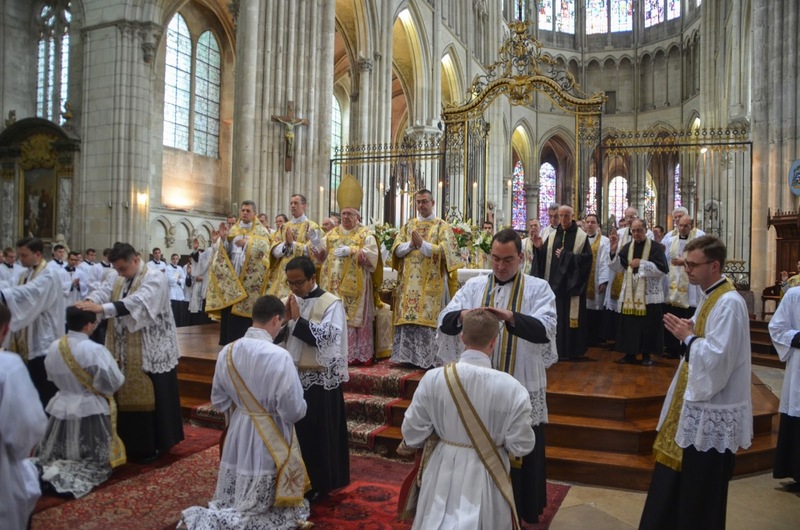 All the priests present lay their hands in turn on the heads of the newly-ordained. 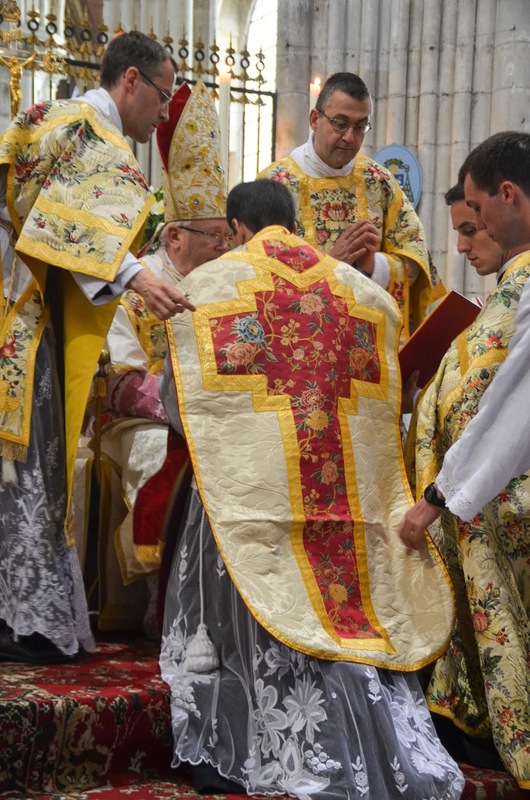 Fr Bonnin hands the cloth with which his hands were bound to his mother. The deacon of the Mass prepares the altar. 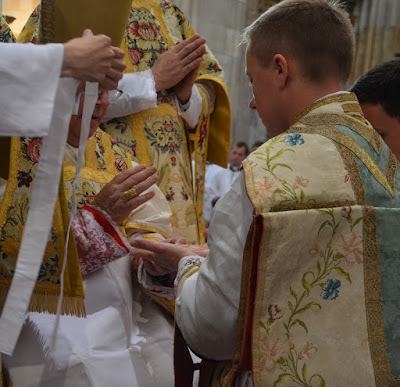 The final admonition to the new priests.